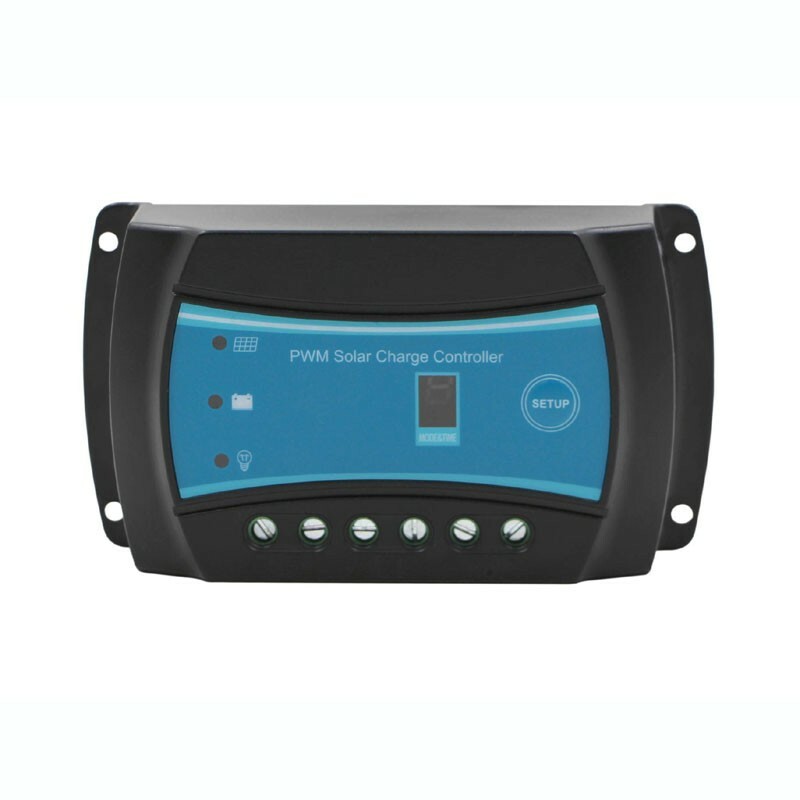 The new SRNE range offers its PWM 10A solar regulators with automatic detection of system voltage (12 / 24V), adequate protections for your photovoltaic system and an efficient algorithm for the proper balance of your batteries. Automatic identification of the 12V / 24V system voltage. Digital LED display and one-touch operations, allowing simple and convenient operation. Adopts the ternary form charge algorithm, loads the storage battery in equalization charge mode once a week. It can prevent unbalance and vulcanization of the battery efficiently, extending the life of the battery. Has four work modes that make it convenient to use in all kinds of street lights and monitoring devices. The external temperature sensor can perform temperature compensation with great accuracy. Has the function of protection of electrical data. The parameters can be stored during a power system failure. Even in this type of case, there is no need to re-parameterize the solar controller. Simple and practical! TVS protection against lightning (diode of suppression of transient voltages). Reverse-connection protection for solar battery and storage battery.